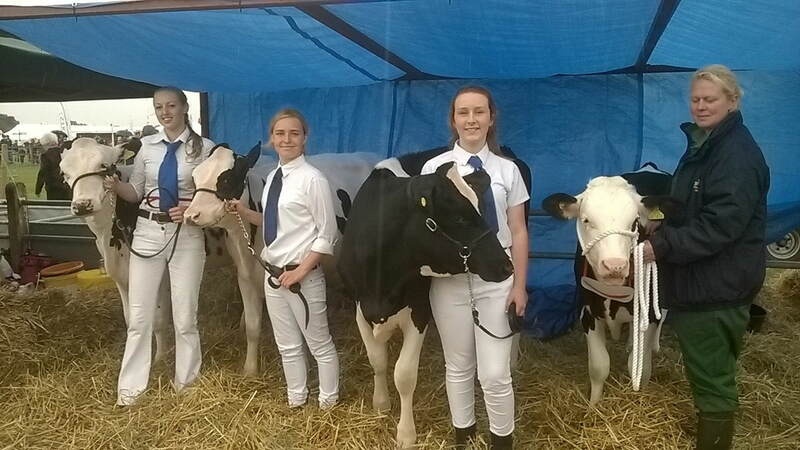 Junior livestock exhibitors will have plenty of time in the spotlight at this year’s Royal Bath & West Show, with the first day now dedicated to the younger generation. For the first time ever there will be a new team competition, with three participants competing for each team; one preparing the show animal, one stock judging and one showing. “This team event will give the up and coming generation the opportunity to demonstrate their skills and introduce them to friendly yet competitive world of livestock showing,” says Head of Shows Alan Lyons. Sparsholt College in Hampshire has entered two teams – the under 18 group comprises Ella Robinson, Eleanor Boakes and Megan Harmon, while the over 18 team features James Noyce, Zoe Kingham and Emily Smith. “For some, it’s their second year of showing, while other are complete novices,” says Kate Robinson, herd manager at the college farm, which has 120 dairy cows, 180 beef animals, 250 ewes, 1200 pigs and 400 acres of arable land. The Royal Bath and West Show takes place from 1-4 June, 2016, at the Bath and West Showground, Shepton Mallet, Somerset. Advance saver tickets are available until 31 May 2016 at £19 for an adult including two children admitted free, £5 for additional child. Gate prices are £22 adult, £7 child and £49 family. Visit www.bathandwest.com to order.